I'm a huge fan of boutique lodging, but finding boutique accommodations in rural areas can sometimes be challenging. Needless to say, we were very pleased to find the Strawberry Creek Bunkhouse in Idyllwild, California. Described as the perfect place for couples to get away from it all, this little gem of a motel is exactly what we had in mind when we envisioned a mountain getaway. So, we booked our stay and booked it out of LA toward the San Jacinto mountains in search of our own slice of woodsy paradise. Why the Strawberry Creek Bunkhouse? 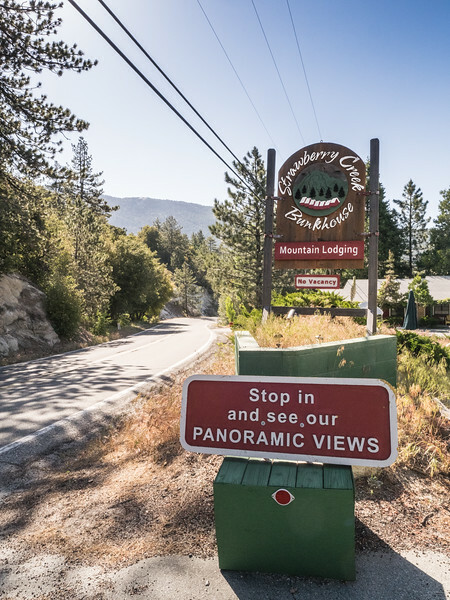 Located just outside of Idyllwild on CA State Route 243, the Strawberry Creek Bunkhouse offers visitors a variety of lodging options to choose from, including 18 rooms and 2 stand-alone cabins. 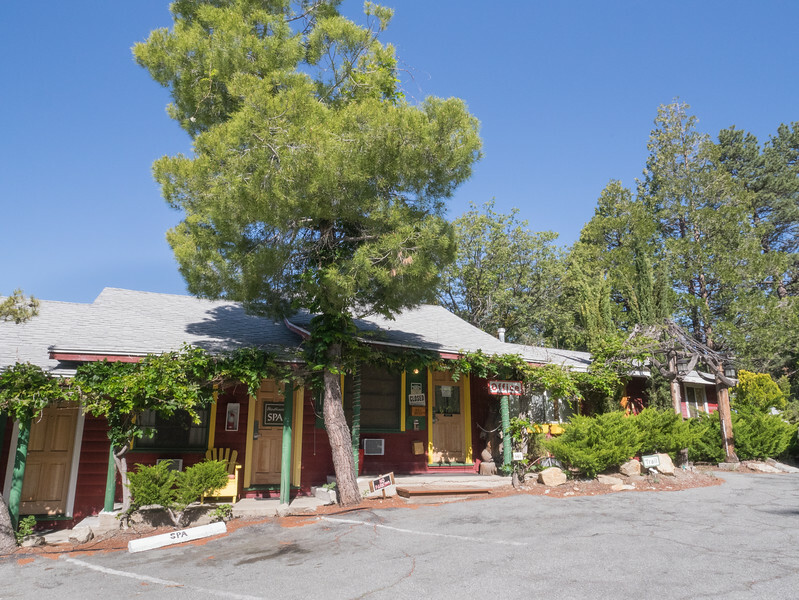 The "boutique motel" is well-priced, clean, and ideally located for a weekend getaway in the quaint mountain town of Idyllwild. These mountain lodgings are both family-friendly and pet-friendly. Each room is equipped with a forest-view balcony, a wonderful way to connect with nature. Both cabins have private decks overlooking the San Jacinto forest. Each room and cabin offers a kitchenette, giving guests some flexibility when it comes to dining. Although the town of Idyllwild has several great dining options, being able to dine-in can save some serious cash when you're traveling on a budget. Another great amenity is the complimentary breakfast delivered right to the doorstep of your room or cabin. Each morning we welcomed the basket full of warm, freshly baked scones and homemade lemon curd. It's safe to say that breakfast was probably my favorite part of our stay. One of the things I was really drawn to was the motel's decor. The exterior of the motel is brightly painted, greeting guests with cheerful, rustic charm. Each room and cabin is attractively decorated and well-equipped with necessities, much like a typical hotel room. After a quick look around our cabin we realized we had everything we needed, eliminating the need to rush to the local market for supplies. I was thrilled to find all the essentials for morning coffee, something I thoroughly enjoyed while admiring the tall pines just outside. To make our stay at the Strawberry Creek Bunkhouse extra special, we opted for the private Forest Hideaway cabin. The private, stand-alone cabin was perfect for a couple's getaway and offered a private deck, small kitchen, and wood-burning fireplace. We visited the Strawberry Creek Bunkhouse in October, so it wasn't quite cold enough for a fire. But I could easily see myself relaxing and reading by the warm glow of an indoor fire if ever I go back in the winter months. The cozy little cabin was perfect for just us two and really gave us the sense that we were alone in the woods even though the motel was just up above on the hillside. Although cable TV and free Wi-Fi were available, we took the opportunity to unplug and dig into a great book. When it came time to go explore, we found the Strawberry Creek Bunkhouse was conveniently located to hiking, shopping and dining. We hiked at the nearby Idyllwild Nature Center, filling our lungs with the fresh mountain air before heading back to Los Angeles. Other local trails, like the Ernie Maxwell Scenic Trail, are a short drive away from the Strawberry Creek Bunkhouse. Both of these trails are pet-friendly and perfect for Fido not matter how old or young the pup. The Strawberry Creek Bunkhouse is also ideally located for exploring other nearby attractions, like Temecula, Lake Hemet and Palm Springs. Relax in your cozy quarters after a long day of wine-tasting in Temecula. Enjoy the crisp mountain air after a hot day of exploring Palm Springs. Indulge in a long hot shower to wash away a long day of fishing at Lake Hemet. No matter what activities you choose, the Strawberry Creek Bunkhouse offers a welcome refuge for weary explorers. 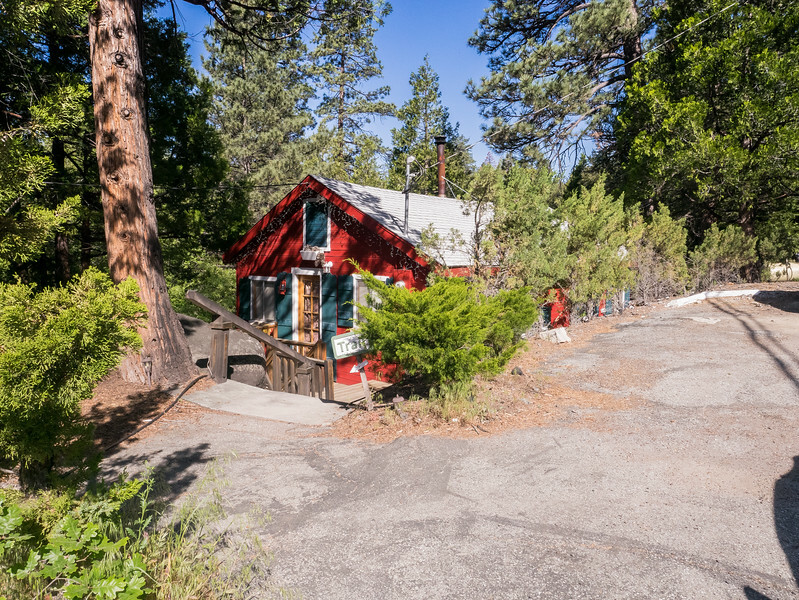 With room rates starting as low as $99, the Strawberry Creek Bunkhouse should be high only your list of lodging options when visiting Idyllwild. We adored our stay at the Strawberry Creek Bunkhouse and will likely be back in the future. For couples in search of the perfect weekend getaway, I'd highly recommend splurging a little extra for the Forest Hideaway cabin. The private cabin can add that extra romantic touch you need to wow your loved one! If you like this post then be sure to sign-up for my newsletter. You'll stay up-to-date on all my latest articles & partnerships, plus get a behind-the-scenes look at my blog. Click here to sign up now and get instant access to my latest freebie. Thanks for all your support. It means the world to me. I love Strawberry Creek Bunkhouse! I stayed there a few months ago, and it is perfect, and ideally located close to town (but not too close). I was sad because we got up to hike early in the morning and missed out on the scones. 🙁 Next time! Yay! I’m so glad you liked it too! It really is a great little treasure.